Withies Delicatessen, based at the Willows & Wetlands Centre in Stoke St Gregory, Somerset, has taken the top prize in the Sourdough Bread category of Bako Southwests annual competition. The delicatessen fought off strong contenders to claim the top spot in the prestigious competition on Sunday with their signature white loaf, which is made the traditional way using only three ingredients, including a 200 year old starter that originated in Italy. Jamie explained that he uses a long, slow fermenting process to make his sourdough, which has no chemicals or fast acting yeasts added to it. The 72-hour process each loaf goes through breaks the starch chains down into manageable sizes, meaning your gut does not have to do this and many people do not experience the bloat that commercially baked bread produces. ‘I’ve even had customers come in the shop and hug me, saying they haven’t been able to eat bread for years but they’re buying a loaf a week off of us now. It makes them feel good and it makes me feel good!’ Jamie added. 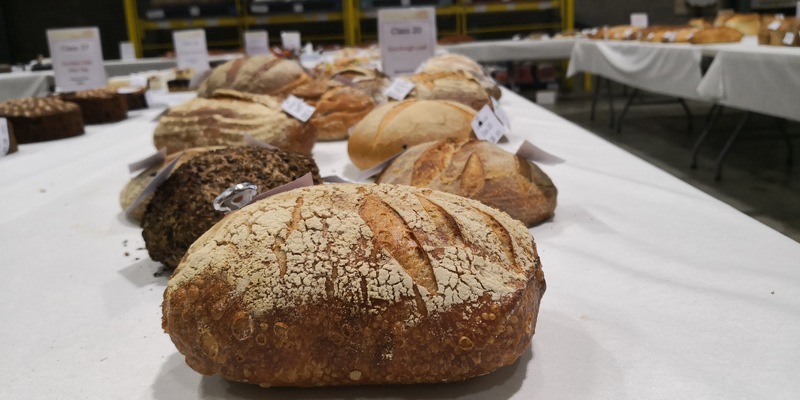 The competition was sponsored by specialist flour producer Ireks and run by Bako Southwest, a co-op bakery supplier that covers the Southwest of England and Wales. Thousands of bakers attended and the competition at the judging table was fierce. This press release was distributed by ResponseSource Press Release Wire on behalf of Withies Delicatessen in the following categories: Health, Food & Drink, for more information visit https://pressreleasewire.responsesource.com/about.